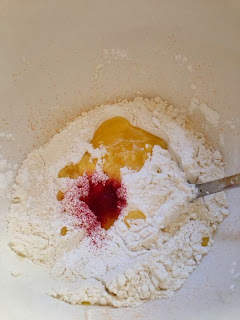 Mix maida, corn flour, cooking soda, ghee and food color in a bowl. Add curd and make a thick batter by adding more water. Consistency should be like vada batter. Keep it in a warm place for overnight or until it ferments well. Next day mix well with a ladle. it should be a sticky thick batter of dropping consistency.In another stove, boil sugar with water, food color, until sring consistency. Then add lemon juice, essence / elaichi, and keep in lowest heat possible. In a flat bottomed pan, heat oil + ghee. Level should be very low as shown in the pic. Take a durable ziploc bag with hole, fill with the batter and draw circles in a medium heated oil. Oil should never fume. Also it should be enough to fry the jalebis porous and crisp. So adjust the heat accordingly. Make 3-4 circles per piece and end the circle by overlapping the tip when you end, otherwise the shape wont be good. 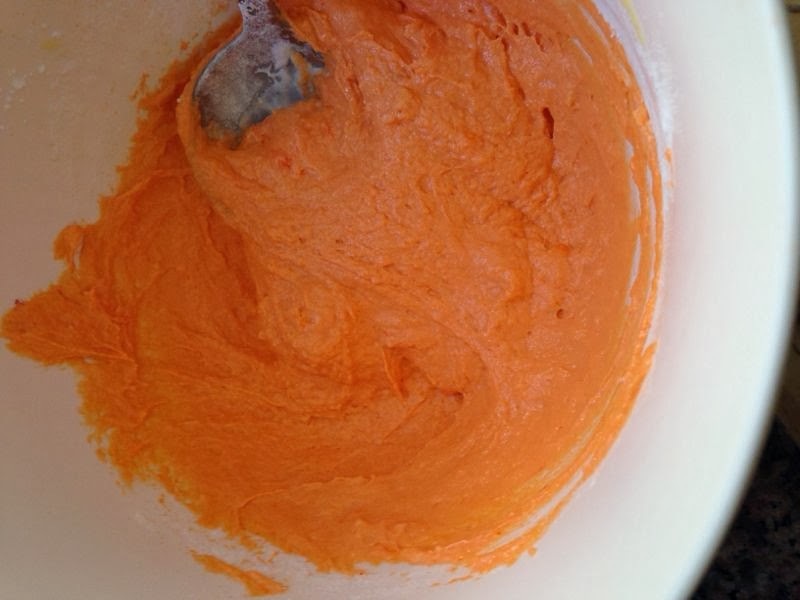 The batter consistency is very important, it should be thick like vada batter. If its runny, then jalebi will become flat. lemon juice prevents sugar from crystallizing. 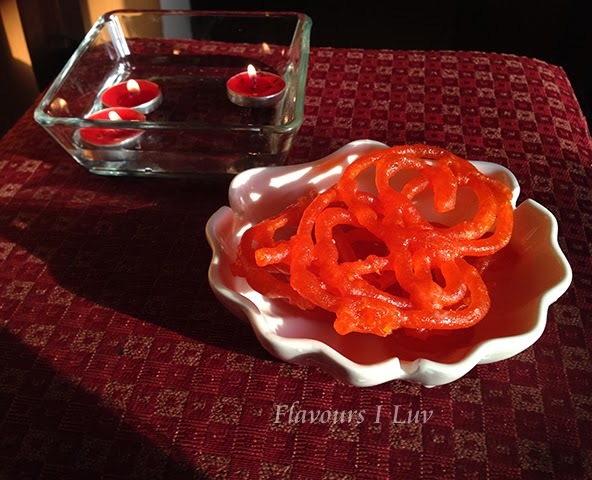 Awesome jalebis!!! 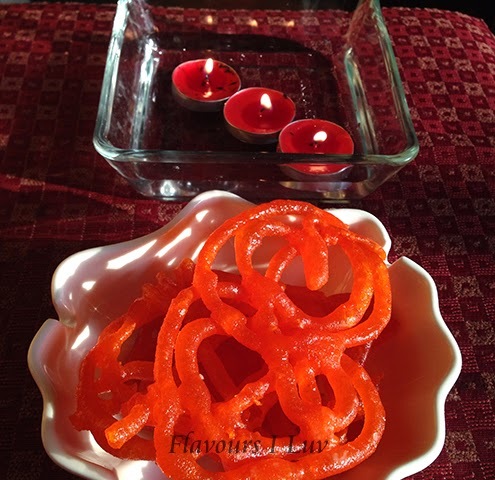 iam eating some gulab jamuns as I type :) otherwise I would be in a sorry state. 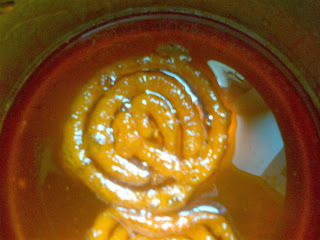 I would always wonder my jalebi doesnot get deep color now understood that color is addded to syrup too.You have such steady hands the one in the pan has come out well. Thanks for visiting my blog happy to follow you. Thank you for stopping by my space and leaving your lovely words here. Jilabei is so colorful looks perfect treat. You have a nice blog, Love it. 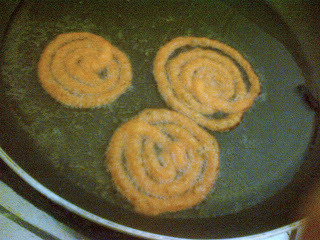 hey thank u for stoping by my space :) Lovely round jalebis u made :D im still trying my hand on it :D Check this out!! Jalebi looks super prefect, yummy and inviting! !